b. Now we will insert text into the header. Click on the Text icon and then click into the header in your report. 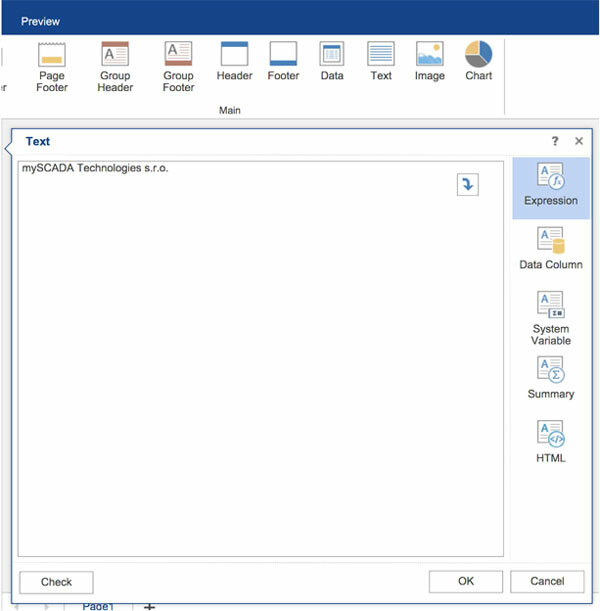 c. Enter text into a dialog and press OK button. You can position text and change its properties like size, color etc. in the Properties section.